It is said that history repeats itself and we believe it too as the Bermuda shorts are back in the trend for summer 2019. Bermuda shorts were 1st worn during the 2nd world war by British Army officers, during the war there was scarcity of clothes so they decided to keep the length of their trousers short but they didn’t know that those short length trousers will get another name and Bermuda shorts will become a must adapt trend one day. They are the most comfortable pair of shorts ever made, they are versatile and loved by the fashionistas all around the world. They were in the trend last year and they were adorned so much so that they are back. Yes, they do look a bit weird at the beginning but once you know how to style them appropriately, you will definitely fall in love with them and you may also want to wear them everywhere. Bermuda shorts are the best for those who want to wear shorts but it’s length makes them uncomfortable because these Bermuda shorts are longer than normal hot pants/shorts and shorter than pants, just 1-2 inches above knees which makes them a must have for the summers. Bermuda shorts vary in style and comes in cotton, linens and denim fabrics. 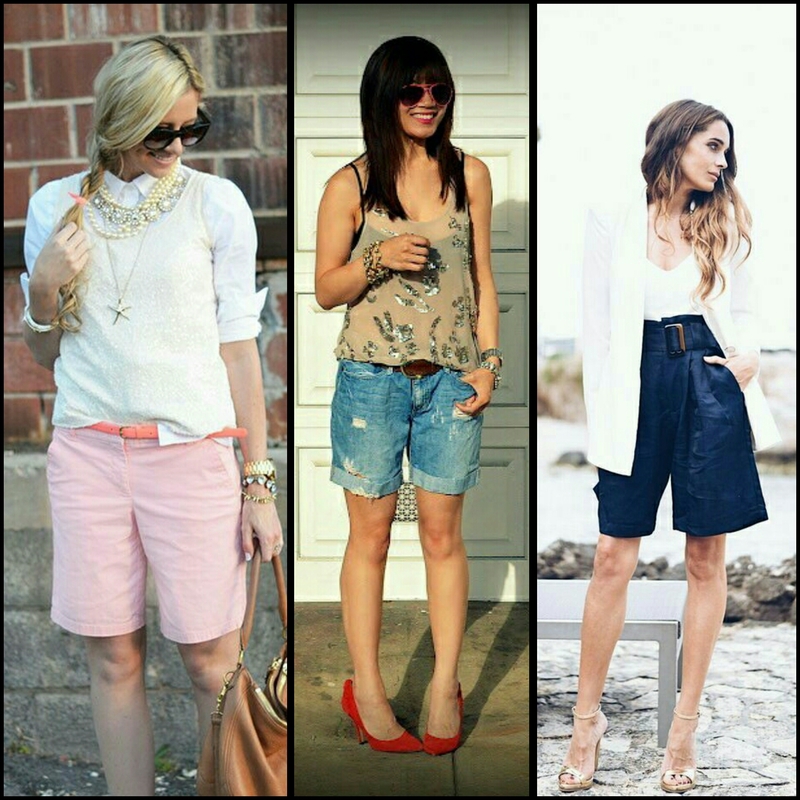 ● Bermuda shorts are good for an afternoon outing with your friends because they will help you in keeping cool. Adding the casual t-shirts or your favourite tops will give justice to your day look, you can wear sneakers or even ballerinas to keep yourself on toes. Keep your makeup light and don’t forget to apply sunscreen lotion. ● Adorn it like your favourite celebrity. 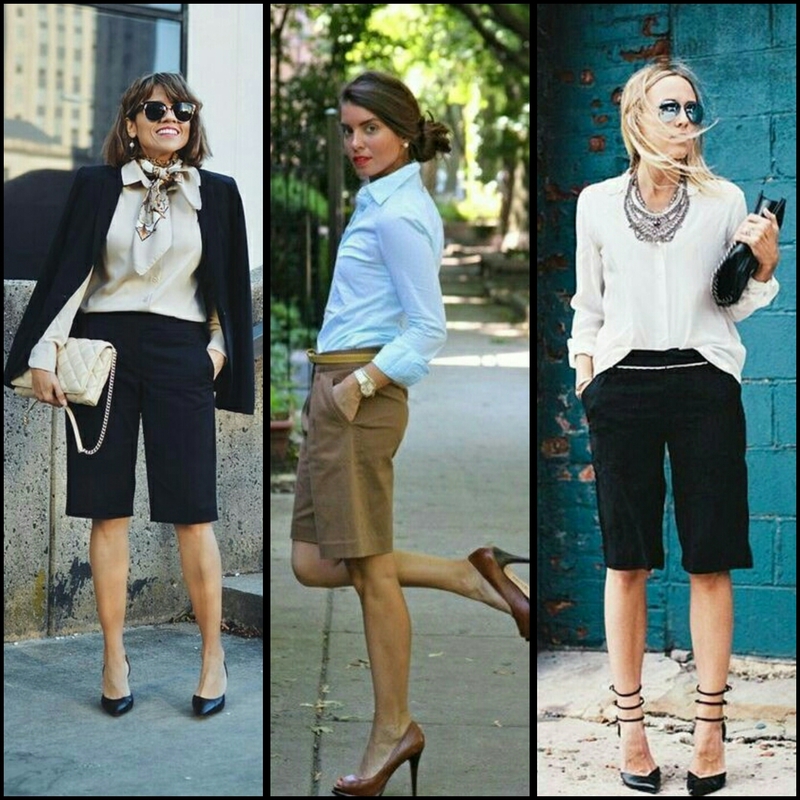 ● Bermuda shorts are so versatile and feminine that you can also wear them at office. A shirt with a perfect fit and your summer blazer will add bonus points to your office look or you can also get them tailor made like a pantsuit. 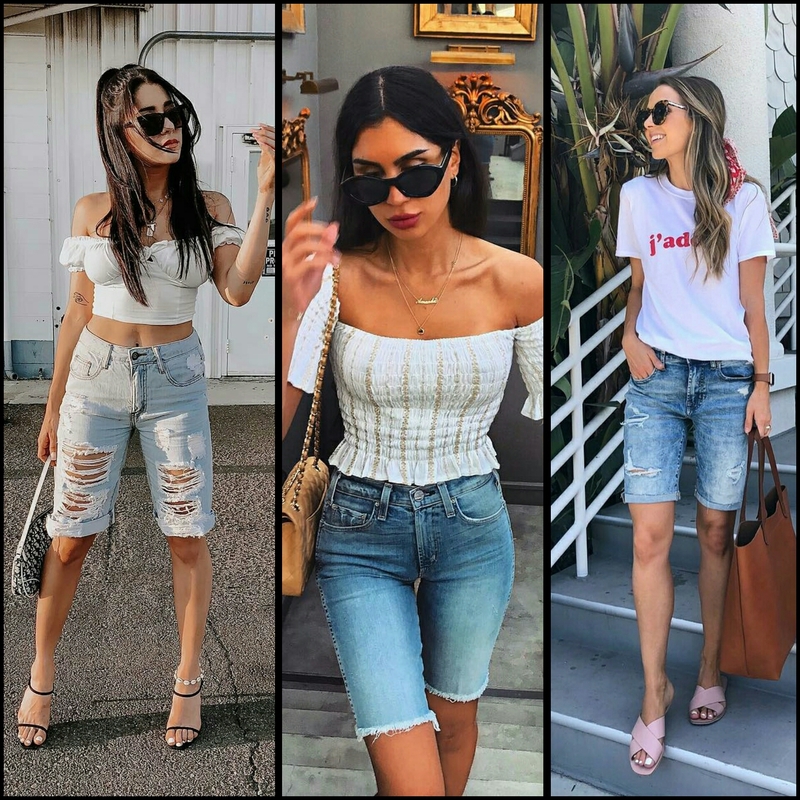 ● Denim bermuda shorts are the answer for all those who can’t think beyond wearing denims be it an outing with friends, a party or your casual Fridays at the office. You can make anything look stylish if you know how to style your outfit with the correct combinations but nothing vogue will look good if you don’t feel confident enough to flaunt it but these bermuda shorts will give an end to your hesitation of wearing short clothes and they will make your summers easy breezy, so metroholicas, what are you waiting for go and shop for this must have fashion trend Bermuda shorts from your favourite outlets and Be Fashionable….!! !